It is popularly said "Money is Blood for any Going Concern"
The application is designed the way to meet all the basic requirements of your organization including budgeting. If controls the inflow and outflow of the funds with high level monitory mechanism. Authorities can see the utilization of each and every fund value. 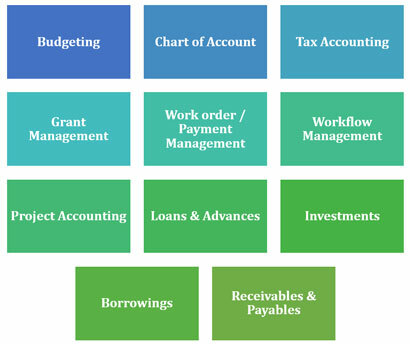 The system has self-auditing feature with pre-defined work flows. Add-ons the basic Accounting, system has following modules. Advance & its Settlement with all the possibilities. Ascii & XML format’s support for import of data. Integration possible with any application. Amount wise passing level setup. 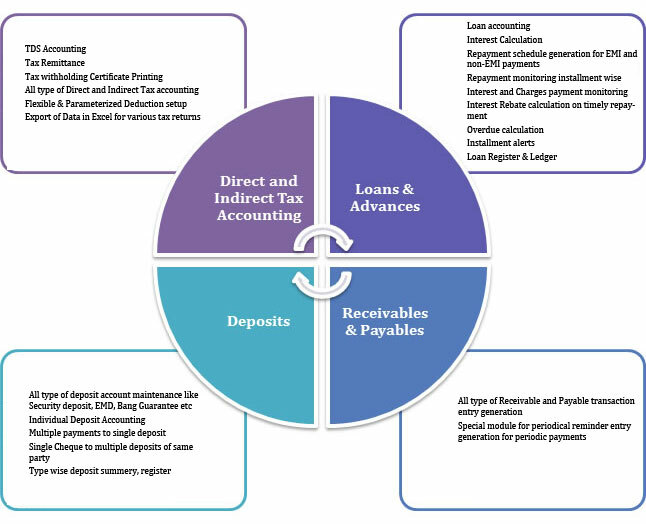 Integration of deductions with Deposit and Mobilization advance.